P1260. 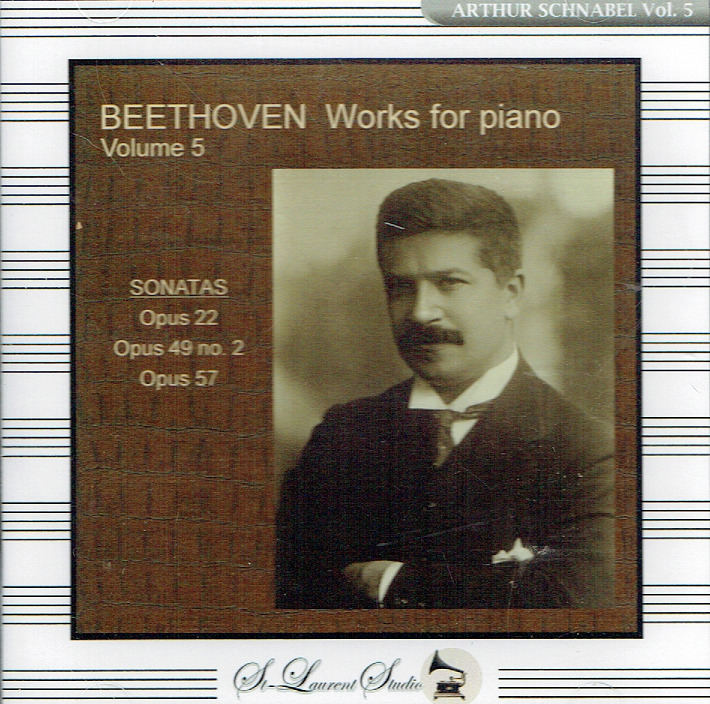 ARTUR SCHNABEL: Sonata #11 in B-flat, Op.22; Sonata #20 in G, Op.49, #2; 'Appassionata' Sonata #23 in f, Op.57 (all Beethoven), recorded 1933. (Canada) St Laurent Studio YSL 78-528. Transfers by Yves St Laurent. 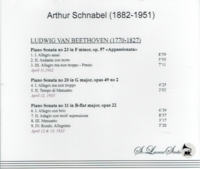 “The more I hear of Schnabel's Beethoven, the less I desire to hear other pianists in this literature. I know that this is a narrow-minded attitude, but I have never heard any other pianist who could approach this kind of vital and profound music-making. 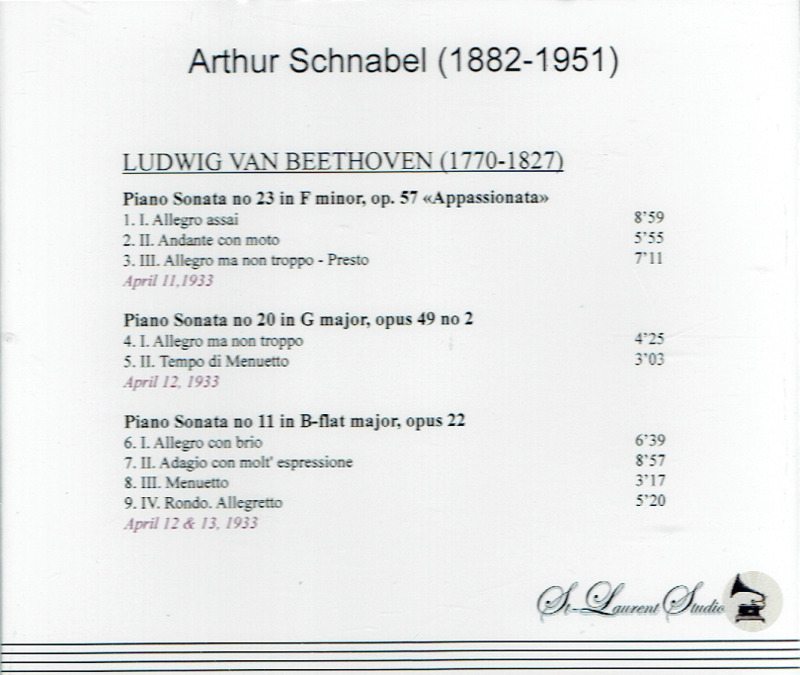 Much has been said about Schnabel's supremacy in the late Sonatas, but his mastery of these early works is also supreme. He brings to these works a sparkle and restless vitality in the fast movements that makes the music come alive as no one else can. And he has the courage to respect the extreme slow tempi of the slow movements. The Rondo a capricio ‘Rage over a Lost Penny’ is breathtaking in its drive, yet all the charm and wit of the piece is there. Once you hear Schnabel, no one else will do.